Modern Domestic transforms substance into style through a curated fabric selection, instruction for sewists of all stripes, and an inspiring emphasis on community. We deliver exceptional sewing products made available to you in the heart of the Alberta District in Portland, Oregon. We carry a finely edited selection of modern fabrics, tools, notions and accessories. From Art Gallery to Skinny La Minx, from knits to wovens, quilting cottons to garment fabrics, our collections will surely leave your heart warm and imagination thriving. Modern Domestic is also a BERNINA Excellence dealer. BERNINA machines are the leading sewing machine brand in the world. Top rated, they have been proven time and time again to handle the most challenging sewing projects. Browse their selection online and stop by our store to try one today. New location in Lake Oswego! 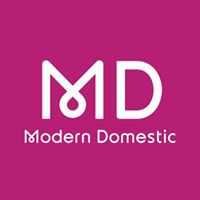 For PMQG members, Modern Domestic offers 10% off in-store everyday, and 20% off on guild meeting days. Modern Domestic is honored to host PMQG Charity Sewing Days regularly in their NE Alberta St. studio!